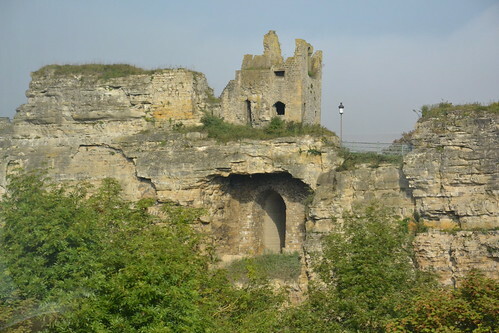 Casemates du Bock, Luxembourg. Cliffside fortifications built between 1644 and 1746 variously by the Spanish, French, and Austrians. The fortifications offered a commanding view of teh Alzette River valley. Dismantled following the Treaty of London of 1867. Above the casemates is the Dent Creuse (Hollow Tooth) tower. Part of the City of Luxembourg: its Old Quarters and Fortifications UNESCO World Heritage site.